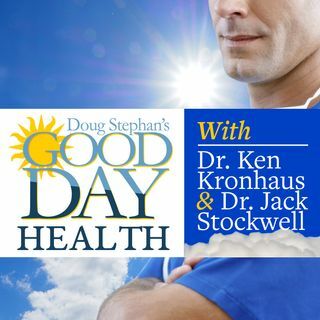 Host Doug Stephan and Dr. Jack Stockwell http://www.forbiddendoctor.com discuss how recent studies have shown that Cholesterol numbers of 300 may not be bad for you, and why. Want to learn how to avoid Ticks and Mosquitoes? Next, Actress Brittany Snow discusses "The Fruit Tree Project" https://www.multivu.com/players/English/8117951-vitafusion-fruit-tree-project/ to help save orchards all over the country. Next, Doctor Jack talks about the sugar content in oranges. Finally, news about ... See More Swedish researchers who've found the link in seafood that prevents plaque in the brain.